Video used by White House officials to justify revoking the credentials of a CNN reporter was altered before it was shared with the public, an analysis of the video by social media verification service Storyful reveals. Reporter Jim Acosta’s press pass was suspended Wednesday following a heated confrontation between him and U.S. President Donald Trump. 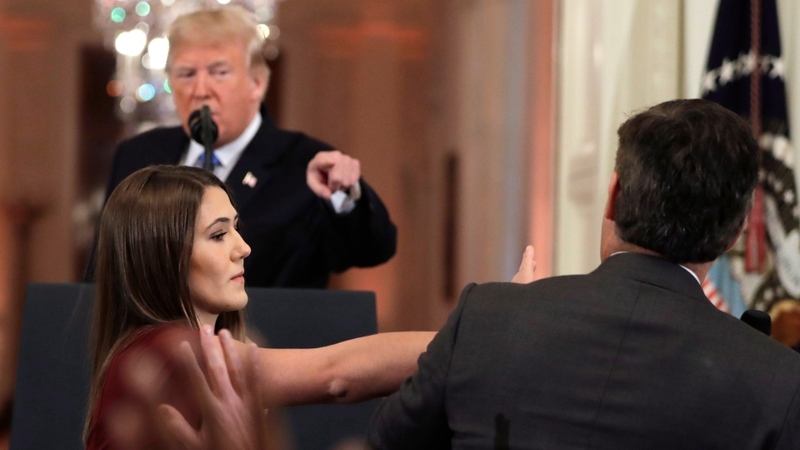 Trump cut Acosta off as he was asking a question, and a female White House aide made an unsuccessful attempt to take a microphone out of Acosta’s hands. Sanders tweeted a video of the incident to back up her claim. However, an analysis of the video by Storyful found that Sanders’ video had been altered from the original footage. In reaching this conclusion, Storyful compared the video Sanders tweeted to original footage from U.S. political broadcaster C-SPAN. 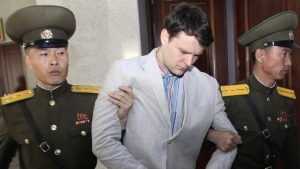 According to Storyful, the two videos were broken down frame-by-frame. They do not match up exactly because of differences in video format, but appear to be consistent through the first 12 frames. After that point, the video showed by Sanders seems to stand still for three frames. "These frames do not appear in the original C-SPAN footage, and appear to exaggerate the action of Acosta," Storyful's analysis said. The two videos are out of sync from that point on, with events occurring in the C-SPAN video shortly before they do in the other video. "The video shared by Sanders appeared under an hour after the same video, with the same close-up, was posted by Infowars.com contributor Paul Joseph Watson," the analysis said. Watson said his video was zoomed in but otherwise not “doctored” in any way.